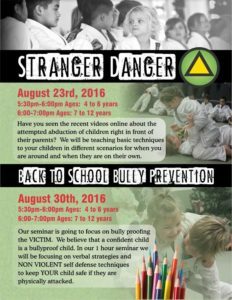 Stranger Danger and Bullyproof Seminars! 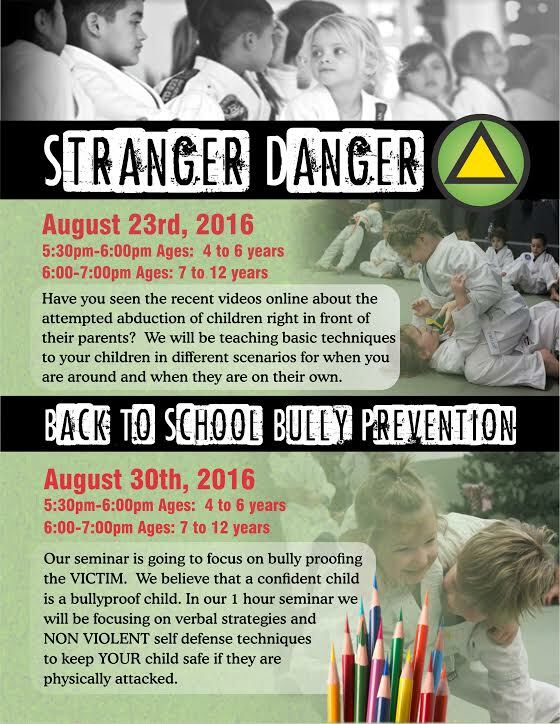 Call us at 705-222-7655 or email info@sudburybjj.com to register your children today! Spaces are LIMITED and they are filling up FAST!! !